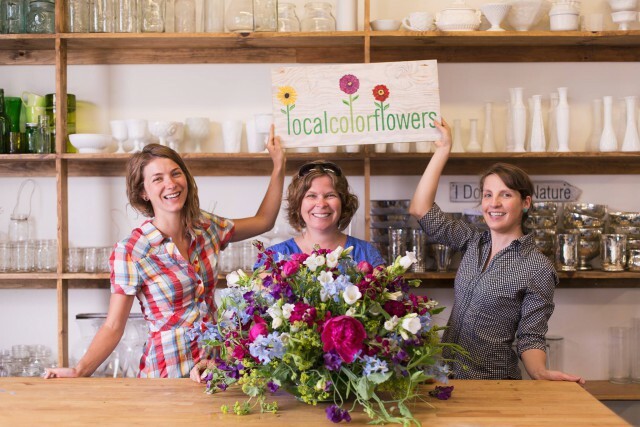 #for30more giveaway #1: $50 to Local Color Flowers – RLB Ink. In case you missed it, Katharine launched an awesome fundraiser yesterday, #for30more. You can read all about why she wants 30 more years as her 30th birthday wish and why I support the cause. Over $2K were raised in first day—but we can’t stop yet! Approximately every other day from now through 9/26, we’ll share the giveaway. Today’s is a gorgeous $50 floral arrangement from Local Color Flowers, my wedding florist and a sustainable local source for gorgeous blooms. They’re also just all-around amazing people. Some giveaways, like Local Color Flowers’, are only fitting for those in the Baltimore area, as they don’t ship. But we also have giveaways that can be shipped! The next day, a winner will be chosen and announced. Winners have 48 hours to contact Katharine to claim the prize, or another winner will be selected. Also, be on the lookout for updates about fitness classes (barre, yoga, cycle) and a happy hour, all to support Katharine’s fundraiser!